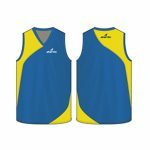 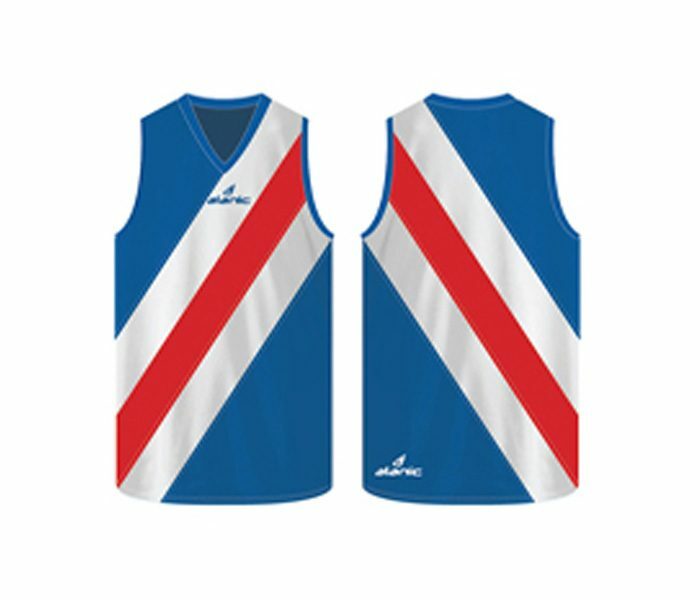 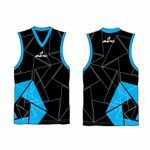 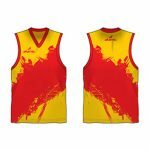 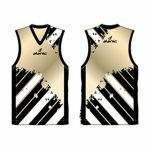 This Australian Football singlet comes in a brilliant colour combination of a blue base with red and white stripes across the top. 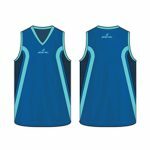 The single has a standard length, great fit, a comfortable V-shaped neck and spacious sleeves. 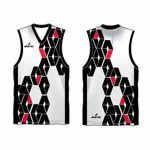 It allows breathability and complete body agility. 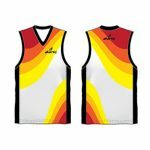 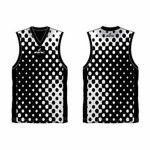 The singlet can be washed using dry cleaning.